The initials ADR stand for Alternative Dispute Resolution, resolving disputes outside of the traditional courtroom, through the use of mediation, facilitation or arbitration. Alternative Law strives to provide the most cost effective alternatives to going to court. 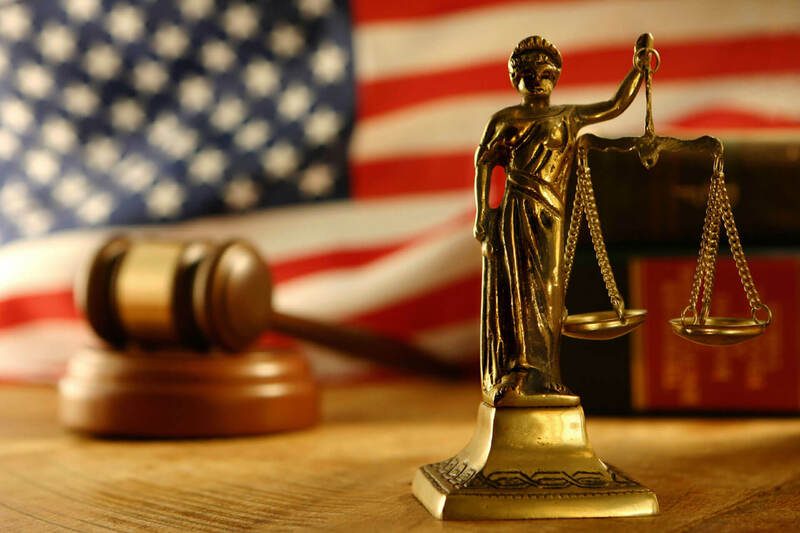 As one of the industry leaders in this field, we resolve legal, personal, or professional disputes with our group of trained mediators and other professionals, outside of the time and expense of the litigation process. If you have already retained legal counsel, as many clients have, we are able to work very effectively together with them to resolve the matter. As long as your case is ongoing, you are still able to settle your case through this alternative, effectively putting the litigation process on hold. We can work with your counsel, or if you do not have one, we can work directly with all of the parties directly, if you so choose. We have many locally owned and operated offices and strategic partners throughout the country. Alternative Law is a government approved and recommended company that provides the clearest alternatives to ligation. If your primary goal is to sue the other side or to engage in a long court case, you do not want us, you want a firm that specializes in litigation. If your last option is to sue or go to court, then we can help you. It must be clearly understood, that we do not want to help you spend the time and money to litigate, unless absolutely necessary. We are not always against litigation, sometimes we even agree that is your last best strategic alternative or negotiating position. Our experience indicates that it is not the best idea in the vast majority of cases. If you are already in court, our job is to find a way to get the best results for your case, in the fairest and quickest way possible. Most importantly, we do not want you to give up any strategic advantages. It has to be in both sides interest to settle and both sides have to want to retain a mediator. We help develop practical plans to benefit the strategic interests of the parties in a dispute. Our settlements allow you to achieve tangible results, finality and closure. For over 20 years our mediators have been practicing Alternative Law mediation and ADR, Alternative Dispute Resolution services. Our mediators have been trained by approved mediation institutions such as U.S. Government Agencies such as The Equal Employment Opportunity Commission, Cornell University, Harvard Law School, University of Massachusetts, Dispute Resolution Masters Program, the ABA, the Council of Family Mediators or other local and national approved entities for mediation and ADR training. We get results and your satisfaction is guaranteed. ALTERNATIVE LAW ADR SYSTEMS At ALTERNATIVE LAW, our clients are assisted by expert, professional neutrals mediators,arbitrators, professors, and attorneys) who use a full range of the latest, most advanced, rigorously tested dispute resolution processes and techniques that range from direct and indirect negotiation, to facilitation and mediation, including where absolutely necessary litigation to achieve satisfactory resolution. DIRECT NEGOTIATION Is where the parties collectively retain complete formal and informal control over the process and its outcome including: The ground rules and the agenda The selection of the neutral The place and timing of the negotiation Use of their own negotiation styles and strategies When and how they communicate, listen and convey reactions Whether to obtain outside information, comment,or feedback and if so,whether to introduce it the decision to end the process at any time The ability to discuss and agree upon issues and solutions that need not relate directly to The subject matter of the dispute The acceptance of an outcome unless mutually agreed upon. INDIRECT NEGOTIATION Is also sometimes referred to as as private caucusing, occurs when all offers are passed through to the neutral so that the parties do not have to engage in meetings or direct contact. This can occur throughout various stages of our processes. STRATEGIC AND PREVENTATIVE PLANNING This our program to design preventative ADR systems that will reduce the incidences and recurrence of conflict and more easily channel all future participants into your alternative system of your choice to reduce time and legal costs for you and your organization. MEDIATION PROCESSES In Mediation Processes, a third party neutral works to facilitate a negotiated settlement between the parties. The mediator facilitates the negotiations and evaluates the relative merits of the claims and defenses. The neutral does not have power to impose a solution or decision-the parties retain ultimate control over the outcome. The terms of the agreement are limited only by the interests and creativity of the parties and the neutral. By agreement and permission of the parties, the neutral sets the ground rules and may seriously affect the order of the proceedings, the parties’ collective and individual analyses and the general dynamic of the settlement discussion. BEST IDEAS WIN This is by far our most successful and the option of choice for many of our clients because of its quick turnaround and high satisfaction and settlement rate.The “Best Ideas Win” is the most practical approach to resolving conflicts.It involves exploratory, interactive and participatory discussion with the parties and their counsel( if they have them,) combined with a detailed analysis of the facts, personal, business and legal issues surrounding the case at hand to help determine a fair and just resolution of the issues at hand . Ensuring that all relevant information is understood by the parties or confirms that information flow. Work to thoroughly understand the parties’ fundamental issues, driving reasons and then factual and legal arguments. Provides feedback on the relative merits of claims and defenses Offering his or her prediction of the outcome in court. In some circumstances, recommending settlement ranges. TRANSFORMATIVE MEDIATION This type of mediation and educational process process whose stated goal it is is to transform the method and ways of thinking for the participants, so that their future interactions will be accomplished in a different, less confrontational manner. NEUTRAL EXPERT FACT-FINDING Neutral expert fact-finding can be a stand-alone, non-binding process, or it can be part of a larger non-binding process. It is used to help resolve a disputed technical issue. The neutral: Finds facts and provides analysis after hearing presentations by the parties, and their experts Acts as a substitute for partisan experts Can conduct an independent investigation into the technical facts and issues. COURT APPOINTED SPECIAL MASTERS/DISCOVERY MASTERS Court Appointed Special Masters/Discovery Masters are appointed by sitting judges to assist with disputes that are legally or administratively complex.Discovery Masters are selected by the parties rather than appointed. The Special Master or Discovery Master:Assists in designing case settlement options May mediate the cases or groups of cases for mass torts Mediates discovery disputes Makes rulings on discovery issues that can’t be resolved. ADJUDICATIVE OR JUDGING PROCESSES In Adjudicative Processes, a third party neutral is brought in to hear and consider facts and/or arguments presented by the plaintiff and defendant, and to render a reasoned binding decision or solution based upon an agreed upon standard of legality or fairness. The neutral’s role is to issue a solution for the parties, not to help them reach an agreed-upon solution to their dispute. HIGH LOW ARBITRATION High-Low arbitration also sometimes known as bracketed arbitration occurs when the parties structure an agreement to “bracket” or limit the possible range of outcomes. The parties may agree that the arbitrator Will decide only the issue of liability with predetermined sums to be paid by the defendant or plaintiff accordingly Delivers a verdict on liability and damages while agreeing in advance on minimum and maximum payment sums Is not told the high low range, in effect creating “blind high low” arbitration. FINAL OFFER ARBITRATION Final offer arbitration, used in the sport of “baseball” occurs when the plaintiff and the defendant each separately submit a “final offer” to the arbitrator. The arbitrator chooses an appropriate settlement between the offer or the demand presented based upon the settlement heard. MEDIATION AND ARBITRATION: Med-Arb combines aspects of both mediation and arbitration offering both parties the ability to participate in a mediation. They have agreed in advance that if they unable to reach a settlement, the process will then shift to an arbitration. The neutral can then serve as both mediator and arbitrator in an “integrated” process, acting to facilitate negotiations and also making binding decisions on stalemated issues along the way in a “separate” process will attempt to achieve a mediated settlement before changing roles” to decide any unresolved issues or enforce previously agreed contract points. If for some reason, mediation does not produce a complete settlement, then arbitration is the next step in this dispute resolution process. The same mediator who by now is very familiar with both parties interests and positions, understands the facts will decide the case on its merits. Some clients feel that this process effectively serves a two fold purpose and provides them with two bites of the apple. It also educates the arbitrator thoroughly on all of the issues which provides for a clearer solution in the event that a complete agreement is not reached. OFFER MED/ARB Occurs when each party makes an offer and the arbitrator decides which one to take. LITIGATION This is our least utilized option as the parties have minimal control over the process or its ultimate outcome, but sometimes in rare cases it is a necessity or the most desirable option: The court retains ultimate authority, interpreting and applying the rules of civil litigation and the parties have very limited The court sets discovery deadlines, conference dates and trial dates The neutral decision-maker is determined by the court the rules of trial practice and evidence in the presentation of the case must be followed parties are bound to the facts found and decisions made by judge and jury, subject to limited right of appeal only narrow forms of remedies are available–an award of money damages or limited injunctive relief Arbitration When mediation is not appropriate, arbitration is an excellent method to keep your case out of the clogged court system. Arbitration is a process whereby a neutral party, sometimes referred to as a private judge, is responsible for deciding the outcome of a legal case, outside the costs and confines of a courtroom. Because arbitration is a much quicker and less expensive process that normal litigation, it is one of the fastest growing areas of dispute resolution. It can be utilized in all types of legal cases such as commercial, employment, housing, discrimination, and family disputes. ALTERNATIVE LAW provides the options, but the choice is yours. You can selected standard mediation, standard arbitration, or med-arb. Negotiation Sometimes, some people just want to plain-out win. We all know that feeling and we have all felt it. Our negotiation training and skills can help you do just that,-but, just maybe in a slightly different manner than you might expect. Mutual communication is very important for us to understand our clients needs and for our clients to understand the strategic implications of implementation of a particular plan of action. Are relationships important for the long term, for the short term, or not at all? Is it win at all costs deal or should it be a win-win situation for all parties. Does reputation or repeat or future business matter? What is this cost benefit approach and risk analysis and exposure? These are just some of the questions that have to be answered, understood and analyzed. Training is a also critical component for every organization and every person. It is part of our educational process that we value highly and that provides long lasting and effective resolution to disputes. Alternative Law is a strategic asset which can unify your organization, agency, department, vendors, and staff. We provide expert on site personnel and diversity training, conflict systems design, dispute prevention plans, negotiations and mediation trainings to enhance your organizational development, satisfaction and retention. Alternative Law’s services can be included as a preventative measure in contracts, as a workplace and cultural training tool, or as a stage in the problem solving and identification process. It can also be used during litigation as part of your settlement proceedings or at any phase, prior to a judge making the decision for you. Even lawyers and government officials can agree on some facts of life. In an adversarial process, certain legal cases can just waste time, money, and every other valuable resource. There are alternatives. ALTERNATIVE LAW provides creative options, systematic solutions, and well developed strategies for agencies, officials, and employees to settle issues when they are stuck in a dispute. Processes such as mediation, facilitation, and negotiation provide cost effective alternatives to your legal systems. They increase control over conflicts, self determination, information-based decision making, and effectively reduce recurrent controversies.